A magical room for boys and kids. This series of murals are specialized designs with their favorite sports , creatings a personalized decoration of their rooms. 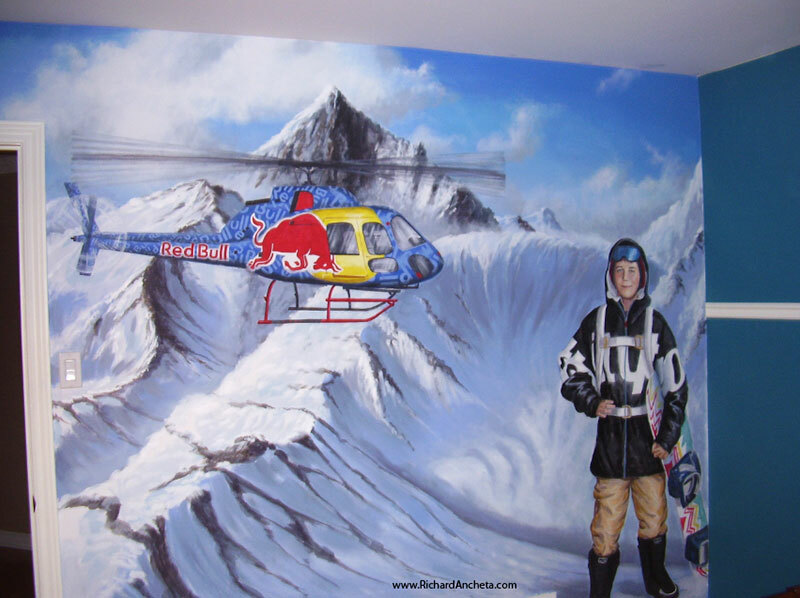 Boys room mural painting snowboarding portrait. Snowboarding mural painting, portrait of Jons. Decorated with red bull helicopter and the snowy Andes mountains gives an excitement of winter sport adventure. Boys mural painting - hockey portrait. 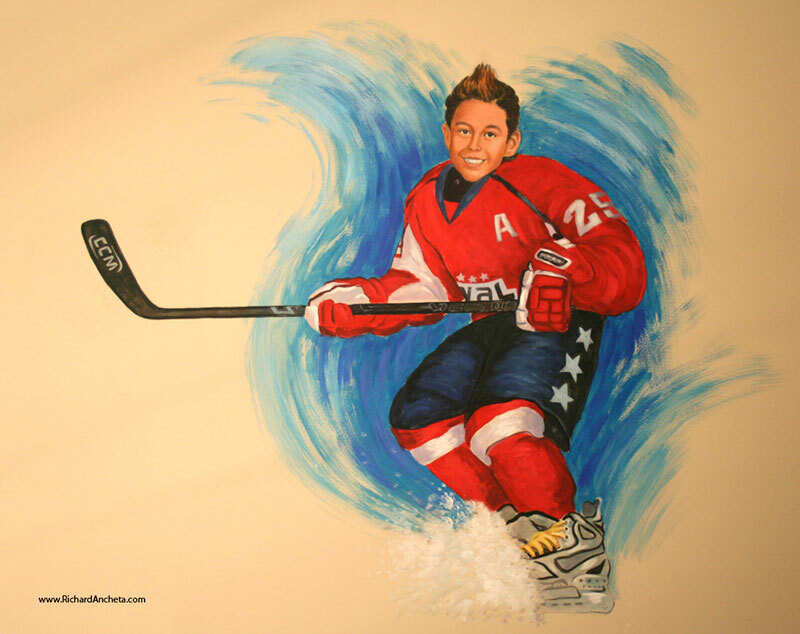 Hockey mural portrait of Stephan. Mural decorations for their home cinema. Boys room mural painting - hockey rink. 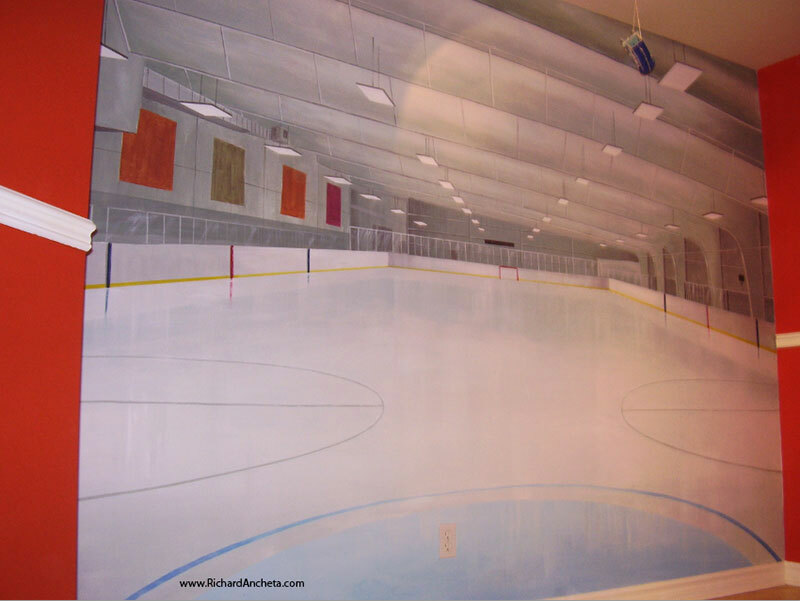 Hockey rink - one point perspective gives an additional space to the room, the mural painting is a bed wall background. Boys painting - hockey portrait. 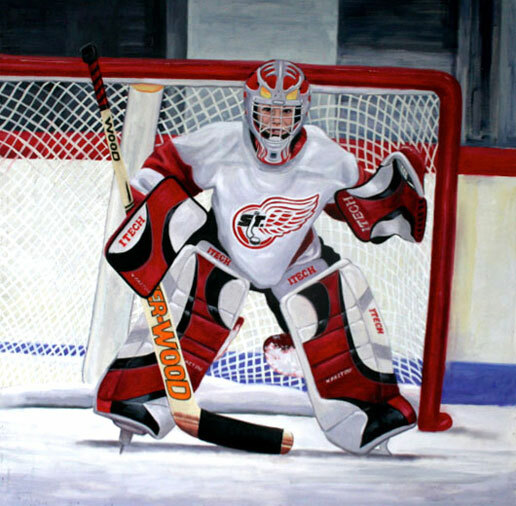 This portrait of Alexis - hockey goalie, expresses an exciting costume composition, the rythm layouts of colors are perfectly balance, the red warm color gives delight and the movement of black designs gives an abstract form, with the snowy rink gives a breathing space of the painting composition.